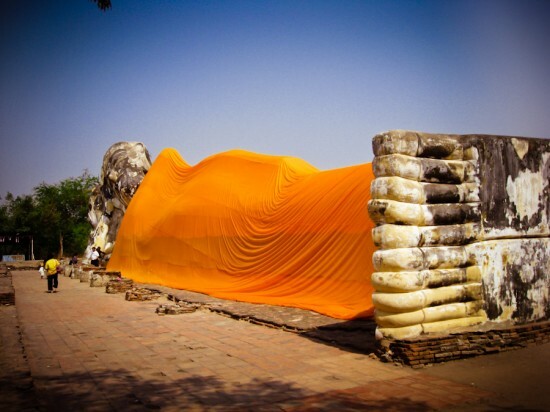 We are trippin’ through the ancient capital of Siam, Ayutthaya in photos. 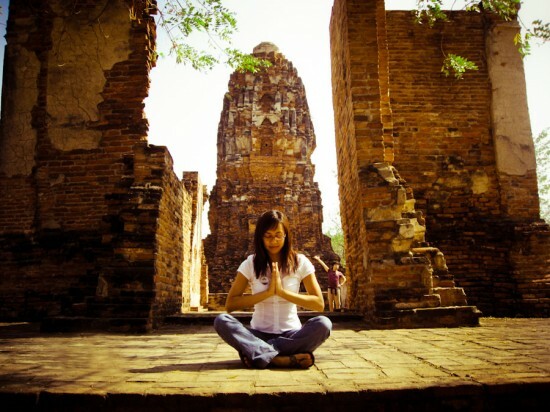 Kieu & I decided to take a break from Bangkok and explore the capital of the ancient Kingdom of Siam, Ayutthaya. What was once the biggest city in the world in 1700, was destroyed and burnt to the ground by the Burmese later that century. Here are some shots of what remained. 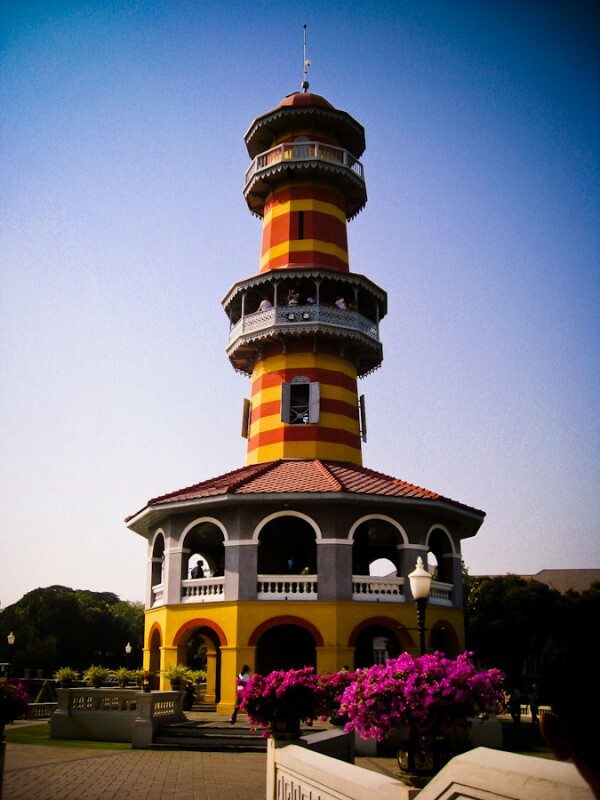 We also visited the Bang Pa-in Summer Palace which was the summer retreat for the royal court in the 17th century. This place has beautiful architecture with Chinese, Italian & gothic inspiration. 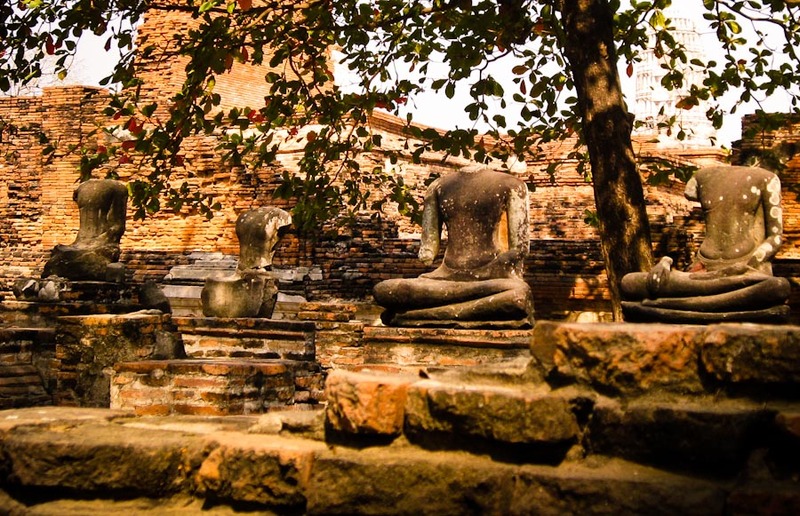 Have you visited Ayutthaya? What was your favorite part? Souvenirs: To Collect or Not Collect? Awesome pictures! 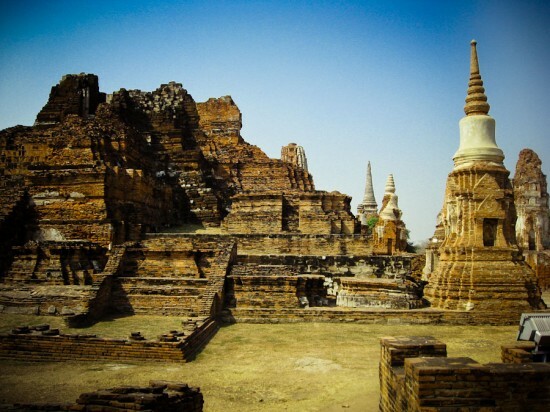 As I plan my trip to Thailand in a couple weeks, I was considering whether to go to Ayutthaya or Sukhothai. I chose the later because it takes me north and I haven’t seen or read as much about it, so I felt it would be more of a surprise feeling. I love the images I see of Ayutthaya and maybe I can take a day trip there from BKK. Did you stay overnight or just day trip it? 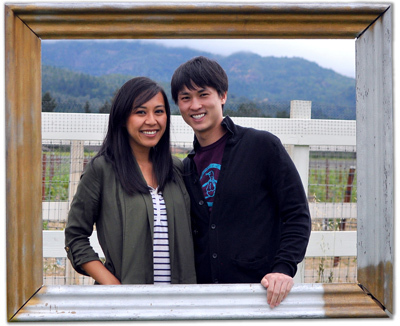 It was just a day trip and we booked it from Viator. It was a good break from the hustle & bustle of BKK. We can’t WAIT for Thailand ourselves. April can’t come any sooner. Love the shots! 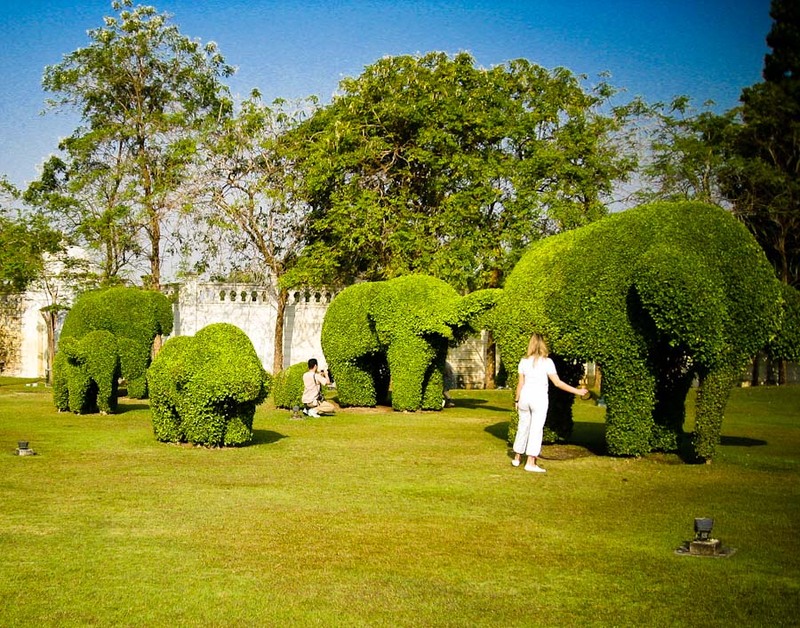 I keep adding more and more places to my “must-visit” list for Thailand. This is one of them! Thanks Audrey! I find myself doing the same. So glad that Q & I will have more than the 4 days last time we had in Thailand. This time we have a whole month, so can’t wait to see everything else Thailand has to offer. When are you headed there? 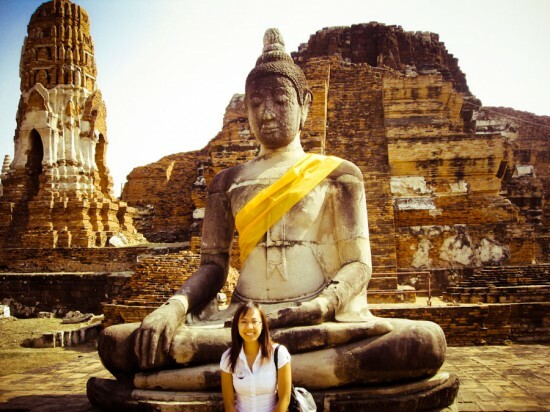 We went to Ayutthaya last year around this time, had a really great time there. The ruins are beautiful but it was so hot walking around there in the middle of the day! They had some Heritage festival on at the time we were there which made the whole city really come alive with beauty contests and things like that. Seeing their Heritage festival would’ve been cool indeed. That hot weather always made me crave for a cold thai iced tea or maybe Singha beer. I wonder how much more we could’ve seen if we had more than 1 day there. amazing photos! I’ve forgotten that Bangkok is also famous for its age-old attractions. Though lived only next door to Thailand (Malaysia), I’m feeling ashamed that I’ve never step a foot on the beautiful Thai soil yet! Hopefully I will do soon! So many things in Thailand! We’re also making a stop in Malaysia! We have about a week there, so we’re thinking Penang and KL. Any must do or see tips, pass em our way! Anytime! We actually visited a couple years back. The recent flood news reminded me of the Ancient city, I figured I had to share. I thought that day trip to Ayutthaya almost wasn’t worth the trip, now I’m really glad we got to go. Nice summary. We’re planning on going in February. Would you recommend Viator? Also, how much free time did you have at Ayutthaya on your own away from the tour. For the day tour to Ayutthaya from Bangkok yes. They’re low-cost and reliable. Not much free time to be honest. Once you hit the sites, you have 30 min to an hour to be free to roam the sites once you get there. 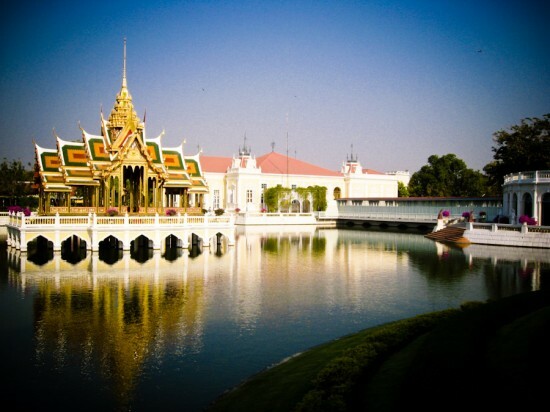 The day tour also includes a river cruise with thai buffet. 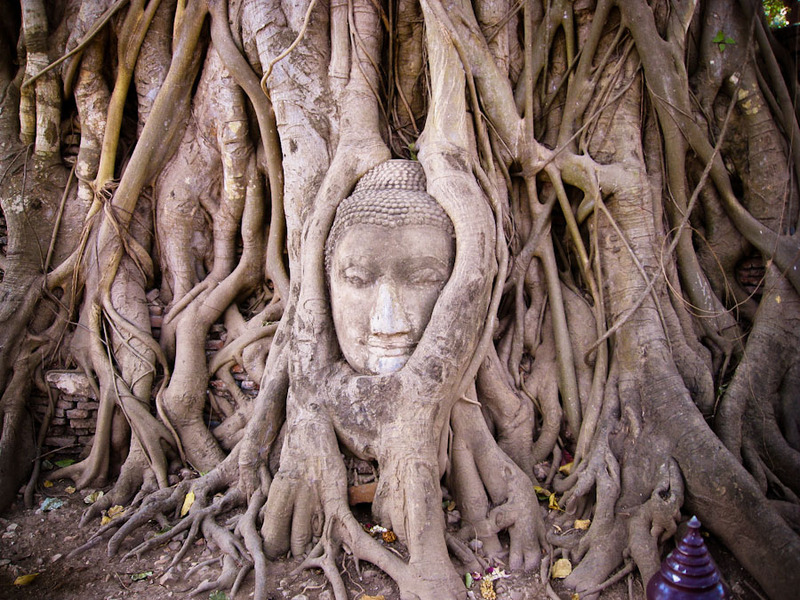 Love the photos – especially the Buddha’s head entwined in tree roots Wat Mahathat. Reminds me of trees at Ta Prohm in Angkor. We’ll be heading to Angkor on this trip! Any tips? Not sure how you’re getting to Angkor, but if you’re coming from Phnom Penh, take a boat instead of a bus if you can. I took the bus and it was the bumpiest ride I had ever been on. Also, give yourself plenty of time. Many people think there are just a couple of sites to see, but there’s a lot. You’ll need at least 2 full days. As with many ‘touristy’ sites, go early to avoid the crowds. Just started reading your fine blog. Nice! 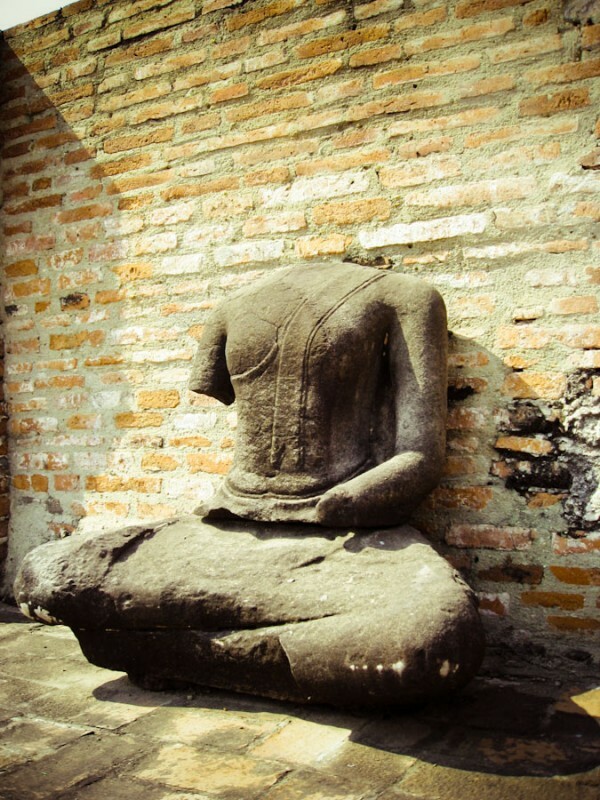 BTW, if you’re wondering about the headless (in some case handless) buddha statues, you’ll find them in museum collections and private collections. It always bothers the hell out me me seeing missing limbs whenever I go to a temple. 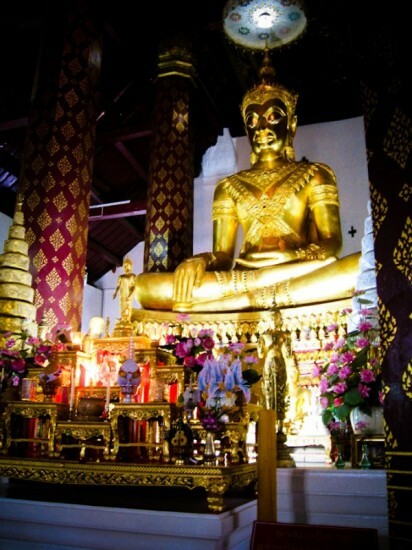 Feel free to contact me for (almost) any other Thailand related tips. oOo.. Thanks for the heads up! This time we will have more than just 4 days to explore Thailand. Lol. 1 month to be exact. Yea.. those headless buddha scare the crap out of me too. 😉 Thanks for trippin’ by! No I’m afraid not.. 🙁 We’re off to Japan and will be making our way down to Vietnam. Where are you now?